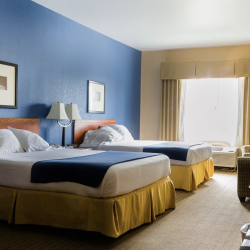 A familiar, well-respected name, a host of thoughtful amenities, and clean, affordable comfort. 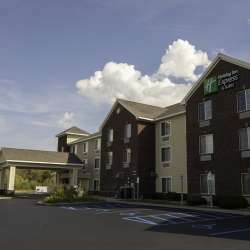 These are many of the things that tourists and business travelers seek for their stay in Traverse City, and Holiday Inn Express & Suites delivers. Located just minutes from the heart of downtown Traverse City, the property offers everything one could want from a national brand hotel. The rooms are clean and spacious. Guests can start their day with a complimentary hot breakfast, complete with waffles, sausage, and a variety of other hot and cold items, including the hotel’s signature cinnamon rolls. The fitness center is perfect for an early morning or evening workout. The indoor pool and spa offer some welcome rest and relaxation at the end of a hectic day. Of course, the real draw here is the hotel’s convenient location to Traverse City’s many attractions. Championship golf courses, ski resorts, wineries and breweries, plus downtown shopping, dining, beaches, and more are just a short drive away. 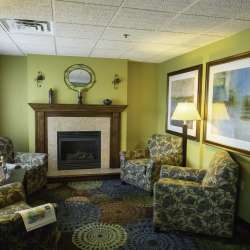 In short, it’s a place that offers all the comfort and convenience you could want for a memorable stay in Traverse City.